Letter Factory is my HERO! I’ve heard great things about Letter Factory from other moms so I bought it online to take on vacation with us and let me just say, Letter Factory is my hero! 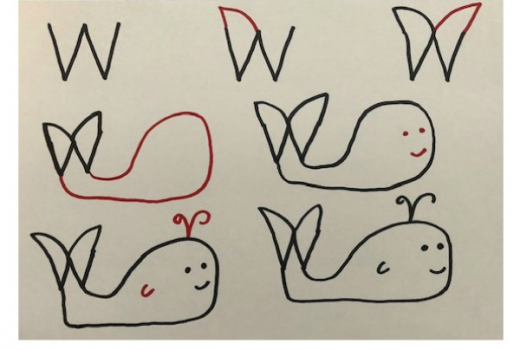 After 10 days of vacation, B (28 months) knew almost all 26 letter sounds (he already knew the letters but can now name them faster) and even started writing some of them. So overall, “Letter Factory” is my HERO and now I can just step in and reinforce the letters and sounds with different activities. 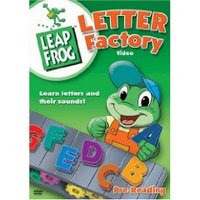 You will also love these Leapfrog Letter Factory Flashcards. Same here! Letter Factory ROCKS! After using it, we’re now learning how to read, and my daughter is only just barely three! A wonderful video. I don’t know if you’ve seen this blog, but there are super cool ideas here. I like the homemade sidewalk chalk, bubble blower and the ice activity (excavating toys frozen in a block of ice) she has listed recently. Enjoy! try the other ones too… word factory, math circus, and code caper…the word ones build off the first – my 4 year old is reading words like cat/hat/bet/pet all by himself! this is a great video. Our library has it so I keep checking it out but I really should just buy it. btw how old is B? I am always curious when I look at certain activities how old the child doing them is. My boys are 28 months and I am curious what they are capable of. Isn’t it the best? A friend suggested it to me and after watching it a few times, my daughter had learned all the letters and sounds before she was even two! It’s amazing.